A twist on the traditional houndstooth fabric, this unique design only ever uses one color at a time. 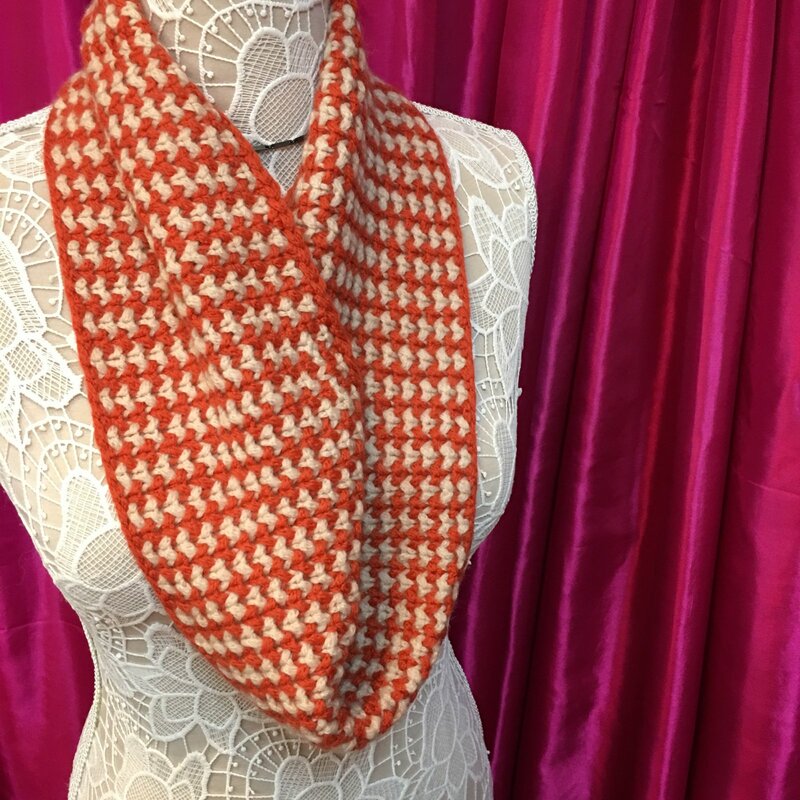 It's a great introduction to using more than one color, and you'll create a stunning accessory that is as cozy warm as it is stylish. Houndstooth is commonly known as a unisex fabric so choose your colors accordingly and make this design for anyone you just want to feel warm. Proficiency in basic knitting skills: knit, purl, cast on, bind off, increase and decrease. With US 10.5 needles, cast on 80 (110, 160) stitches. Knitting gauge, scissors, tape measure.